Goldfish on their own kept properly do require lots of space, and common goldfish, comets and shubunkins cannot be kept with fancy goldfish. Additionally, some types of fancy goldfish such as orandas, black moors and fantails, shouldn’t be kept with other fancy types like ranchus. The reasoning behind this has mostly to do with the faster of the fish being able to eat all of the food before the slower, fancier varieties can get their needed share, but nipping can also be a factor, and something that fancier and slower goldfish are unable to avoid. Telescope goldies probably should not be housed with any other kind of fish due to their fragile nature. You may try a couple of snails. There are, however, other types of freshwater fish that may be successfully housed with most other goldfish, as long as proper, partial water changes are regularly performed. The main reasons people cite in defense of the theory that no fish can be kept with goldfish is different water temperature needs and the high waste level of goldfish. Goldfish are cold water fish, requiring a steady temperature of somewhere between 65 and 75 degrees. Therefore goldfish are never compatible with any type of truly tropical fish, which of course require warm water temperatures. However, there are other coldwater fish, as well as subtropical fish, that do well with water temperatures in the sixties to low seventies. In an environment large enough and well maintained, tank mates selectively chosen from the subtropical and coldwater species can make good compatible tankmates for goldfish. 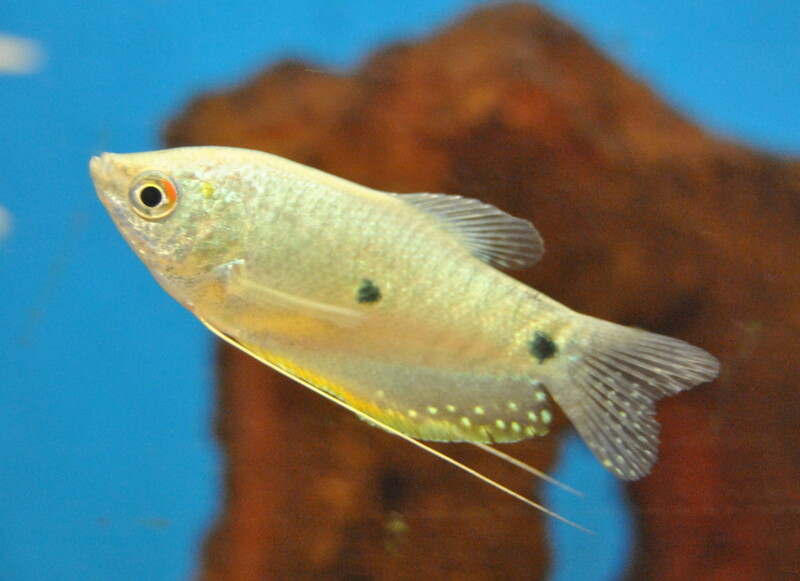 There are a couple of other considerations however, such as fin nipping, aggression, and other compatibility issues just as you would have in combining different types of tropical fish. 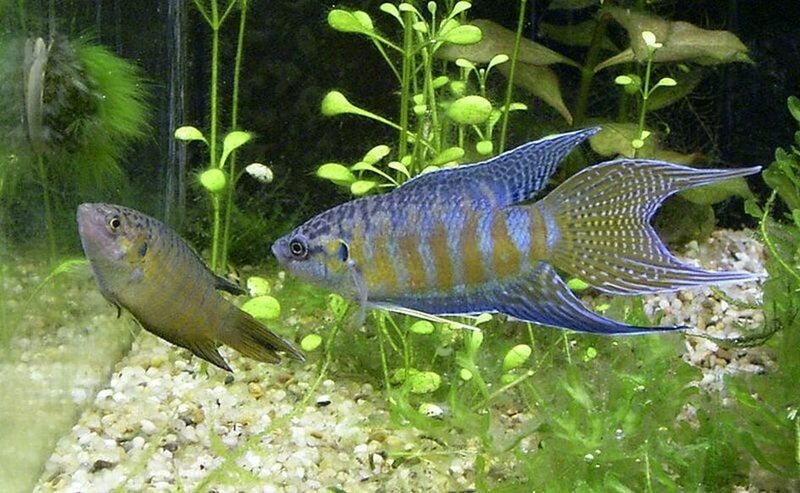 Some fish not generally considered aggressive or fin nippers may still not interact well with goldfish, such as common plecos and possibly corydoras. There is a good bit of anecdotal evidence to suggest that common plecos will take to sucking the slime coat off of goldfish, leaving them at risk for infection. This is a serious problem for goldfish and should not be risked. Corydoras have been reported to do the same thing, though the anecdotal evidence is less abundant. Additionally corydoras are sensitive to certain common goldfish medications, and would need to be removed from goldfish tanks anytime those medications are being used. 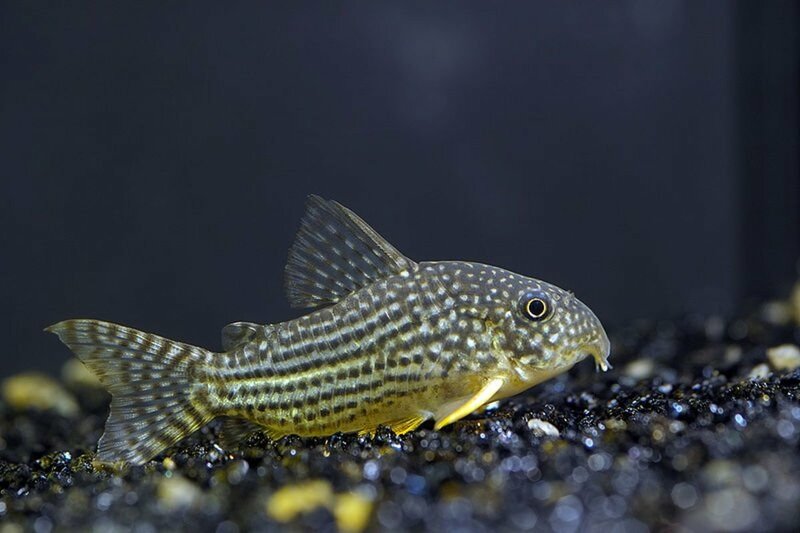 Because of these reasons, common plecos and corydoras, or any other type of normally aggressive fish should never be chosen as tank mates for goldfish. The last thing to consider is that as goldfish grow larger, they will be able to eat many smaller fish. This is reported to be a much less likely occurrence if they were raised with the smaller fish and are therefore used to them and not likely to consider them as food. Nonetheless there is nothing to prevent a mature goldfish from changing its mind. With all of that in mind, some possible choices are listed below, but also keep that of course there are no guarantees. 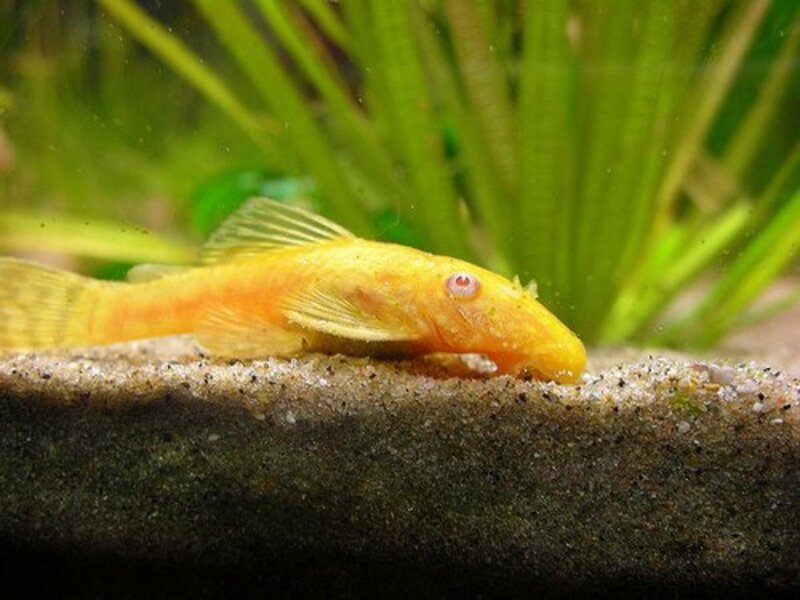 Weather Loaches, also known as Dojo loaches, are commonly recommended companions for goldfish, as they are coldwater fish themselves, requiring temperatures in the 60 to 75 degree range. However, they need to be kept in groups of at least three, and -like goldfish- weather loaches require plenty of room. Combining the two will require a large tank. 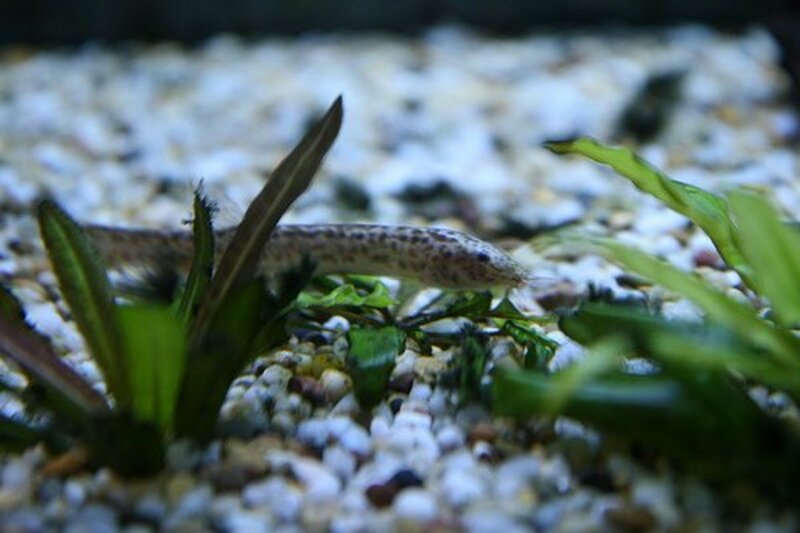 Weather loaches do like to burrow, so keep in mind that smaller sized rounded gravel or a sand substrate will be needed. Rubbernose or Bristlenose Plecos are also frequently recommended, and make good choices as well due to their voracious algae eating. 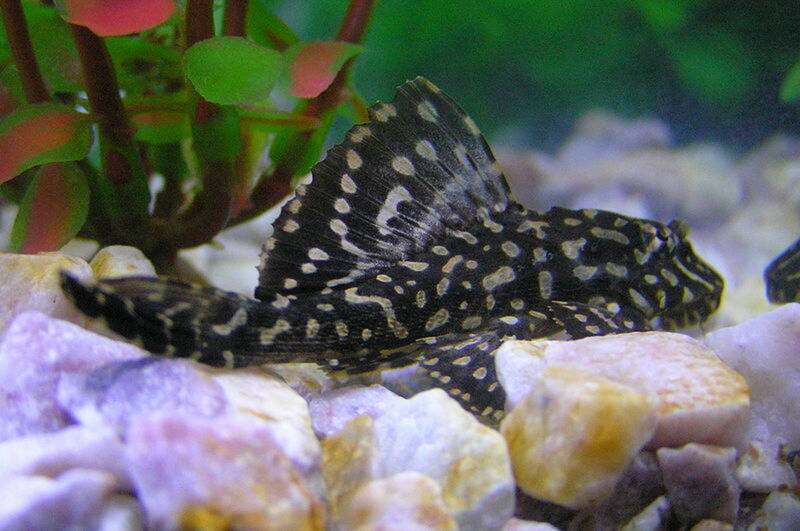 These plecos enjoy temperatures in the 72 to 77 degree range Do not, however, get the common pleco, which may be prone to sucking the slime coat from goldfish as previously mentioned. 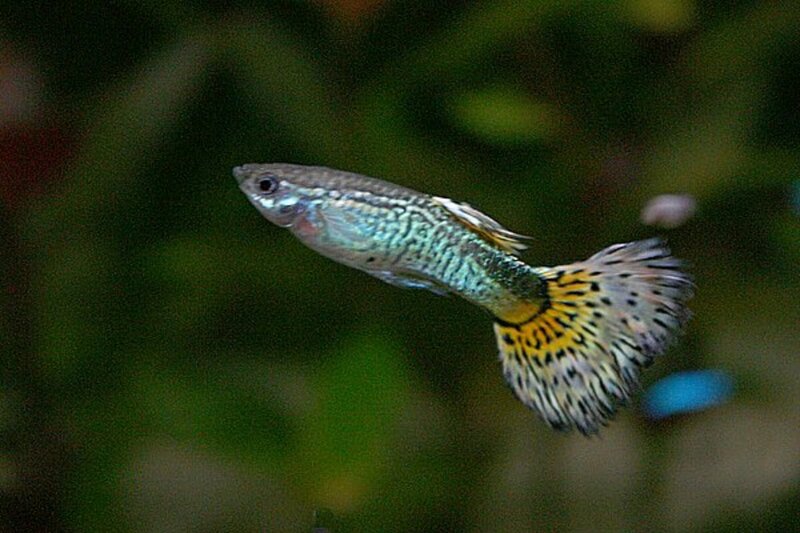 Despite their small size, White Cloud Mountain Minnows are frequently recommended as good goldfish companions due to the fact that they are also cold water fish. 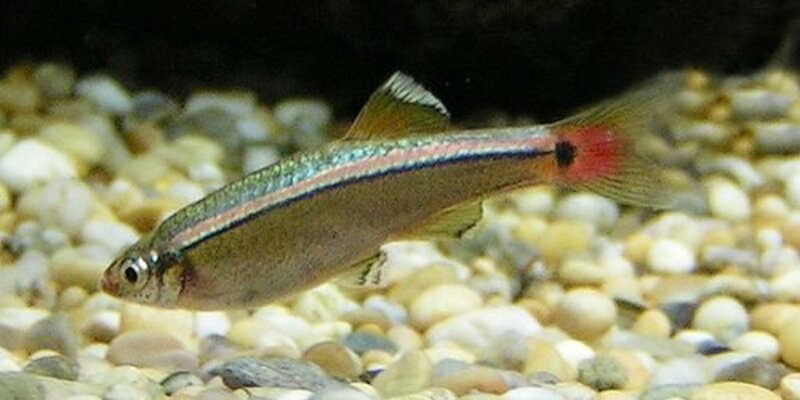 In fact, White Cloud Mountain Minnows can be kept in temperatures as low as 45 degrees, but no higher than 75 degrees. UPDATE: A reader has commented that white cloud mountain minnows attacked his telescope goldies. I don't think I'd keep anything with telescope goldies, other than perhaps a couple of snails, and should have mentioned that. Zebra Danios have a temperature range between 65 and 80 degrees. These minnows make good choices, as long as the goldfish are not fancy. 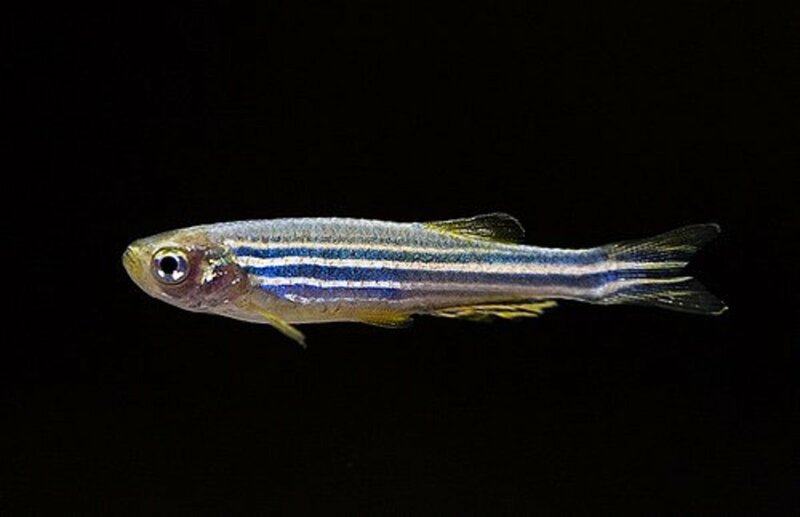 The minnows will generally be fast enough to avoid hungry goldfish who mistake them for a snack, but too fast to allow a fancy goldfish a chance to eat. For pond keepers, Zebra Danios are also recommended for use in outdoor ponds. It is said that they enjoy eating mosquito eggs. Rosy Barbs can be a nice choice as well. These subtropical barbs are not aggressive, and very similar to goldfish in appearance, but with a pink hue. They grow to be 4 to 6 inches at maturity, so generally aren’t considered snack material, and their ideal tank temperature is 65 to 72 degrees. All of the fish I have mentioned above other than the plecos will be most comfortable if kept in groups, so that must be taken into consideration. Schooling or shoaling fish not kept in groups tend to become more aggressive than they would otherwise be. While Apple Snails and Ghost Shrimp are commonly recommended, there is also anecdotal evidence of these aquatic animals being eaten by goldfish. Generally the Apple Snail will present too much difficulty for eating, but may still be harassed by goldfish if they haven’t been raised with Apple Snails. Ghost Shrimp can usually escape a hungry goldfish, but not always. They may survive better with the fancy, slower goldfish, however, most ghost shrimp are sold as feeder shrimp, and therefore not usually given a great deal of care in the breeding. This is why any fish store tank of ghost shrimp typically include a good number of dead specimens. 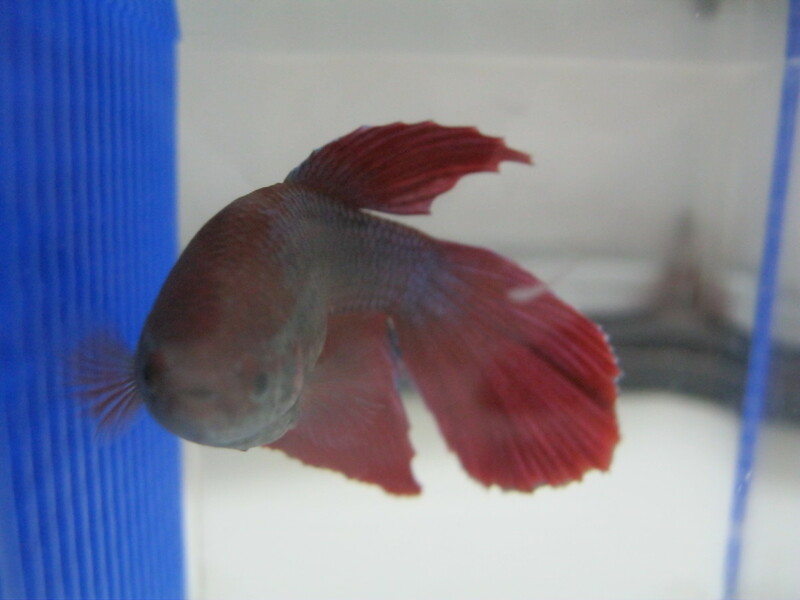 By introducing ghosties to your tank, you may be introducing disease. Be sure to quarantine in a separate tank to insure healthiness before adding to main tank. All that said, you cannot always predict what a fish might do. Just because a certain fish is listed at the store as ‘peaceful community fish’ and the stated temperature range is appropriate, it’s best to come home and research the fish on the web first for further information before you purchase it. This is true no matter what kind of tank you have or what kind of fish you seek. hello! i have a fancy goldfish that am getting a 20 gallon long for but don’t know what fish to house her with. she lives alone right now but i want to get a few other fish. i also want to get a few snails that eat algae but don’t know what ones are best. Hi! I have two goldfish currently: a common and a sarasa comet. I am in the process of moving them into a 55-gallon tank and wanted to add in a few new species to the mix. I'm planning on 7 nerite snails, 2 rubbernose pleco, and 6 cherry barbs. My tank is around 72 degrees, which my goldfish tolerate just fine, so I don't think I'll have a problem with temperature demands. However, I'm uncertain whether 2 is too many in terms of adding the rubbernose plecos, and I'm entirely unsure about the cherry barbs. 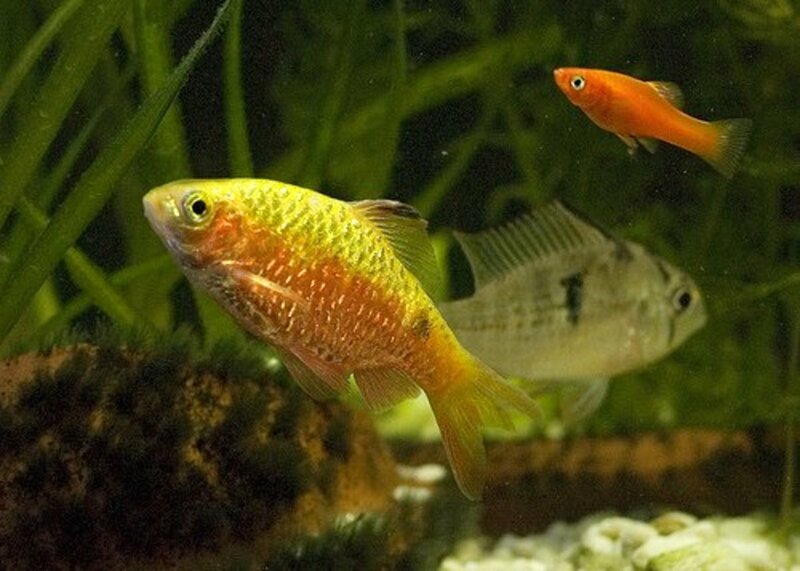 I think the cherry barbs would be a great addition, but I worry about their compatibility as I have read many differing views on goldfish tank mates. I think I have the space and I have sheltered places where the barbs can hide, but I am still unsure. Is 1 common, 1 sarasa comet, 2 plecos, 7 nerite snails, and 6 cherry barbs a good choice for a 55-gallon tank? I recently won goldfish at a carnival. I was wondering what type they were. Also my mother and I were looking at getting some companions for them and need some suggestions. How many pearlscale goldfish can I put in a 25-gallon tank? @Maria The algae is probably from your goldfish producing too much waste for your tank. Comets quickly out grow 10gal tanks as they can get up to a foot long. Shrimp would not work with goldfish of any kind because they require much warmer water than goldfish tolerate. It could also depend on the types of plants you have. They also need to be able to tolerate being in colder water with your goldfish. Hi! I currently have one comet goldfish living in a 10 gallon tank. I recently bought some live plants and i've noticed that the tank has developed a little bit of brown algae. I was wondering, what would happen if I introduced a shrimp to the tank. It would have plenty of space to hide and clean (goldfish waste, algae, unwanted food) and it would become a neat new companion for my goldfish. I have had ghost shrimp when I was a kid with a huge colony of guppies and it worked wonders. Any opinions? If I have two comet goldfish can I keep white cloud minnows in the same tank? because i have 4 angels,3 algae eaters and 2 african clawed frogs in the same tank as my goldfish and there doing just fine,i also have these weird multi colored tetras the petstore i got them from called them " colored tetras " there were pink,green,blue and 1 purple one that i brought home,also i got this silver catfish shark looking fish the petshop called them " hammer heads"
Hi, I really do not recommend Minnows. Just because when I had 2 comet goldfish and 3 minnows my goldfish ended up eating the minnows,because they were small and skinny. Can tux fish be in the same tank as goldfish? I regret buying a bigger gravel because it was cheaper, seems like most of the fish that go with goldies require sand or fine, small gravel because they bury. . . Guess that leaves me with the choice of white clouds or danio, but all the ones the sell in store are really small and I'm afraid my goldy might eat them. He is a fantail btw. How big of a tank do I need for 3 common goldfish and 2 zebra danios? Can I keep a freshwater crab with my Goldfish, or will the crab attack the Goldfish? is there larger fish that can be kept with goldfish? I have a 90 litre tank and 1 comet goldfish and I was thinking of getting a school of rosy barbs (5) would that be okay? A good read. I have kept weather loaches & apple snails with fancy goldfish with great successs. I tried white cloud mountain minnows and my black moors ate every single one over a few months. A bulldog pleco also lived quite harmoniously with my goldfish. I currently have 5 fancy goldfish, 6 peppered corys, & a common pleco in a 150 litre tank. I have been keeping peppered corys with my goldfish for years and have had no problems. I also used ot keep zebra danios with them and they were just too big to be eaten :) One of my goldfish tried to hunt them at first but quickly gave up. I recently added a common pleco as my old bulldog pleco died. He;s been a great tank cleaner and so far hasn't really bothered my goldfish at all. I always find it funny that so many fish keepers say "don't mix gold fish types because of feeding speeds" yes I have a mix of fan tails, blackmoors, commits common goldfish and shubunkins, and they are ALL very happy together and I have had no problems keeping them together at all, i just feed them a mix of flakes and pellets so that there is something for everyone. Yes that is REALLY all it takes! and I've had all of them now for the past 10 years in a 100l tank and ALL are healthy happy fish. I only came here looking to see if it might be ok to add ghost shrimp to the tank. with their size I am now thinking Dojo loach might now be my choice. Hi! I currently have a goldfish (he's about 6" end-to-end) and a common plecco (I didn't know) in a 20g tank. I'm buying a 55 next weekend and plan to add 1-2 Rosys and a snail. Is this too many fish or do you think it will be fine? Or, if not the Rosys, 5-6 zebra danios or minnows. Also, I'm going to see if the store will take the plecco. I've had him for about a year but he chasing my goldfish and has caused damage. Hi I had an angel fish and a big goldfish live in a 20 gallon tank for yrs with no problem. So, I have never heard that common and fantail cannot be kept together and I don't really believe it. I have a common (shubunkin) and a fantail in a 30 gallon tank. They live quite happily with each other and the resident plecto. They act no differently. Very kind and playful. Always happy with their top fins open, not flattened. So, this is news to me. I have a beautiful blue male half moon double tail betta. (my sister also has 1) We have them in a small glass bowl. (separate) How much space do they need? Do they need companions? They are right next to each other and DO NOT try to fight. They are not aggressive at all. I have a about 6 in. shubunkin goldfish in a 20 gallon tank. He's used to about 80 degrees f. (can be with tropical fish) What can I add? Deborah, a 75 should accommodate 5 goldfish, a school or shoal of small minnow-type fish, and a rubber- or bristlenose pleco. A 55 might work for a while, but you'd only have to upgrade later. Manizheh, I am sorry for your experience. Telescope goldies are rather fragile and also rather tempting, I reckon. I wouldn't think of adding anything to a tank with telescope goldies, other than snails or peaceful shrimp, and should have been clear on that. I'm editing my hub to reflect that. I hope your babies fully recover. FYI I added a school/group of white mountain clouds to my 3 telescope eye goldfish tank. After a couple of day s I went and bought a new tank to separate them. My poor Goldie's were being constantly chased and harassed. Their tails took a bit of a beating too. I have a 20 gl tank with one common goldfish (apprx. 3 in.). I want to add fish and a pleco. What do you recommend for a tank this size? Also, If I want to eventually add a total of say 3or4 more gold fish, 5-7 more schooling fish and a pleco( per your recommendation) how big of a tank would I need? This is a very helpful hub. I've kept goldfish for many years and have recently been looking into non-goldfish tank mates. I had 2 golden dojo loaches once up on a time and would love to have a few more. Sadly they are hard to find where I live. I been thinking of getting a goldfish but didn`t know what type of fish are safe to put with them but now I do.Thanks! This is a great hub! You seem very knowledgeable about the topic. Yes, Jimmy, Orfes are pretty compatible with goldfish. Like goldfish, they may eat a youngyun now and then, particularly if they are not used to seeing smaller fish, and they regularly snack on eggs, but this is the same that may be expected from goldfish themselves. Orfes are friendly otherwise, and social like the goldfish as well, and they've been kept together for years. Really the only difference there you'd need to be aware of is that orfes really do need a high oxygen level in their water, and are more picky about this than goldfish. Your pond equipment must be properly maintained at all times if you don't want to incur a tragedy. Otherwise yes, all good. Large, deep ponds only though, which is pretty much the same for goldfish. Must be deep enough to have cool water at the bottom during the summer, and deep enough not to freeze through to the bottom in the winters. Circulation must be provided and maintained constantly year-round. Good suggestion, though. Thank you for asking, I must add this one in to my hub. 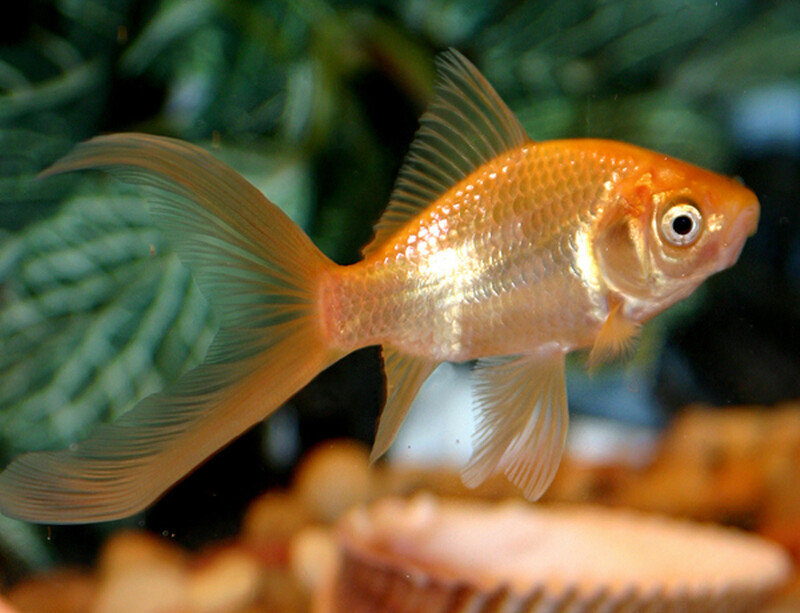 in ponds, will the Golden Orfe be compatible with goldfish?